of Newark’s water and sewer infrastructure. facilities, protecting waterways from pollution. The City of Newark has established a program for the inspection, evaluation and repair of approximately 350 miles of sewers (22-inch in diameter or smaller) and 9,100 manholes within the City. Many of these sewers have been in service for over 100 years. The City has undertaken this program through the New Jersey Environmental Infrastructure Financing Program administered by the New Jersey Department of Environmental Protection and the New Jersey Environmental Infrastructure Trust. Newark's Sewer System: This guide will help you understand the Combined Sewer Overflow and how it works. 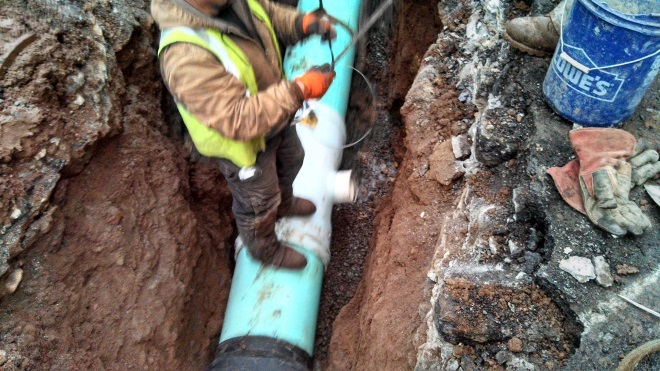 Due to the extreme cold, many residents are experiencing their water pipes freezing. The City of Newark found elevated levels of lead in drinking water in some homes/buidlings. The Dept of Water & Sewer will be performing maintenance work on the Belleville Surge Tank beginning June 23.